﻿2016 Men's Basketball Manager Champions #1﻿. 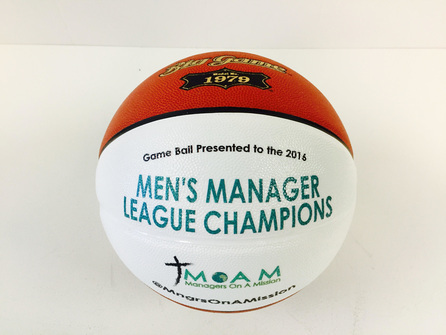 MOAM is excited to award this Game Ball to the winner of the 1st ever Manager Games Postseason Tournament along with a $250 check for the winning teams Championship Celebration Dinner in Houston, Texas the weekend of the Final 4! The KPI Rankings rank the resumes of the manager teams that often play the night before the “real games” across D-I Men’s Basketball. General rules for these games can be found on the B1GManager Hoop League site HERE.